If you are a woman, you need to read this book! If you are a mom, working mom or mentor other women, read this book! In a world where women where multiple roles and hats, we are constantly doing more in a day then we should. Women are measuring themselves up to unrealistic expectations of Pinterest, Facebook and the neighbor woman next door who appears to have it all "together." We are constantly battling stretching ourselves into doing more than we are able and we don't understand how it affects our physical, emotional and mental well being. We are stretched too thin! 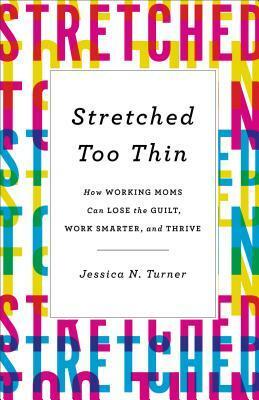 This book is a great, with advice and the story of how Jessica was stretched too thin! The practical advice is a great for any woman or mom! I highly recommend this great read! Jessica N. Turner is the author of Stretched Too Thin and The Fringe Hours. She is also an award-winning marketing executive and the founder of the popular lifestyle blog The Mom Creative (www.themomcreative.com). Additionally, she is a writer for the Today Parenting Team and DaySpring's (in)courage, an advocate for World Vision, a regular speaker at events nationwide. She and her husband, Matthew live with their three children in Nashville, Tennessee.